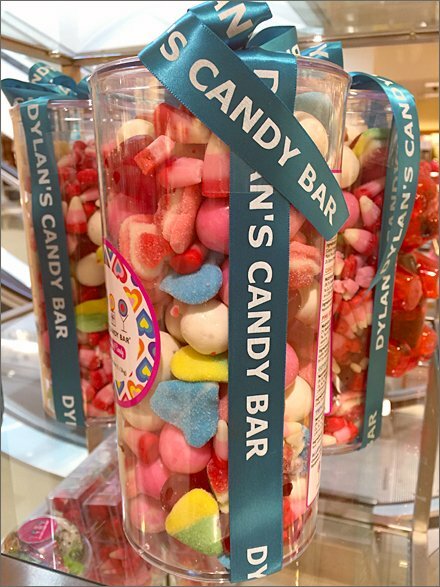 While Dylan Laurel® may be famous for her Candy Bar, not all her offerings are Bar-shaped regardless of naming. 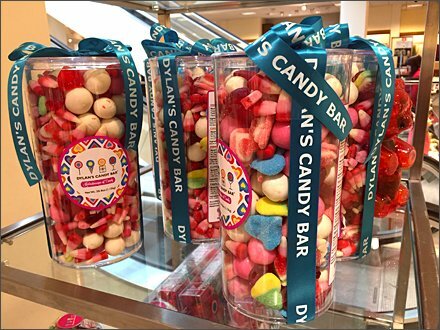 Canisters of beribboned treats carry the Dylan Candy Bar moniker, but you can see that there is narry a bar in the assortment. Careful Dylan, Given the deep Lauren pockets someone might sue for false advertising. Even Subway® was sued over their Footlong Sub not actually being precisely one-foot-long. But regardless of contents I like the ribbon. Sadly bows on top were squashed in shipping and needed a fluffing badly.